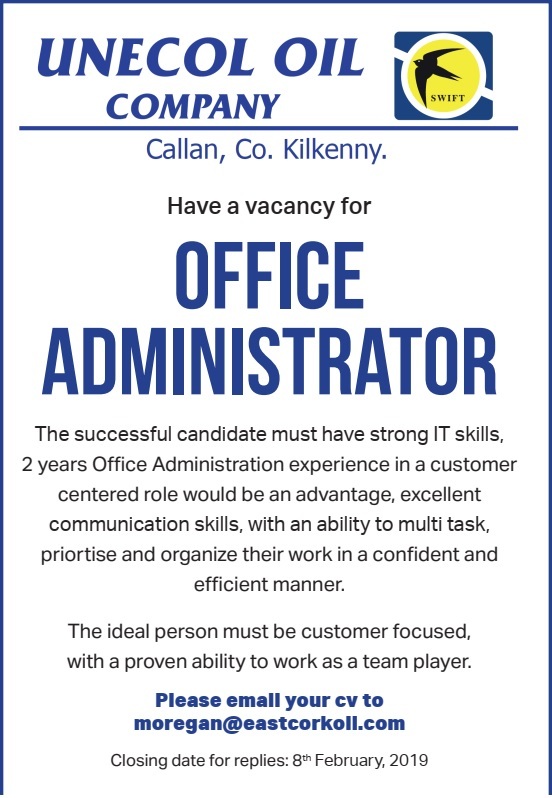 Unecol Oil in Callan have a vacancy for an office administrator. centered role would be an advantage, excellent communication skills, with an ability to multi task, prioritize and organize their work in a confident and efficient manner. The ideal person must be customer focused, with a proven ability to work as a team player.